Infant dies after lack of treatment for narrow airway causes cardio-respiratory arrest and brain damage. Our client, Miss J, suffered a cardiac arrest, brain damage and subsequently death after a hospital failed to investigate and treat her airway narrowing despite several signs and a previous life threatening event where Miss J had turned blue and choked on secretions. Miss J was born premature at 25 weeks at Barnstaple Hospital. She was intubated and ventilated at birth and had a very low birth weight. She was care for in the Special Care Baby Unit (SCBU). She required two intubations that day. The day after her birth she was transferred to the North Bristol Neonatal Intensive Care Unit (NICU). She was intubated at least three times before being transferred to St Thomas’ Hospital in London 11 days later. A few hours after arriving at St Thomas’ Hospital she required re-intubation but this was difficult. She was extubated after 28 days but this was unsuccessful as Miss J’s oxygen saturations dropped significantly and she had bradycardia. She was therefore re-intubated. The same happened on a further four attempts to extubate. 2 ½ months after her birth she underwent a Cricoid split procedure to widen her trachea. However she continued to have stridor (wheezy and noisy breathing) after the procedure. She was discharged home over a month later with on-going mild to moderate stridor. 3 weeks later at a follow up appointment it was noted by the neonatologist that Miss J had on-going symptoms of upper airway obstruction. 6 weeks later Miss J had an Acute Life Threatening Event (ALTE) where she had increased strider, turned blue and choked on her secretions. At hospital stridor and stertor (heavy snoring or gasping) where noted as well as intercostal recession (sharp intake of the chest muscles due to a partial blockage of the airway). On discharge the health visitor advised Miss J’s parents about Sudden Infant Death Syndrome. Miss J was reviewed by an ENT consultant 6 days later but whilst he noted possible laryngomalacia (congenital softening of the tissues of the larynx or voice box) but there was no note of the recent ALTE. She was reviewed again 5 months later and it was thought she may have a degree of narrowing of the subglottis (an area of the windpipe) but no intervention was recommended at that time. Sadly a year after her ALTE Miss J suffered a cardio-respiratory arrest at home due to an upper airway obstruction. When the ambulance arrived they noted she was making efforts to breath without air entry. She was taken to Kings College Hospital and required CPR in the ambulance. At Kings College attempts to intubate were unsuccessful. Finally an anaesthetist was able to intubate and noted she had vomit in her airway. In total Miss J was in cardio-respiratory arrest for 26 minutes. She was placed on a ventilator. 8 days later it was noted that there was underlying neurological brain damage due to the length of time Miss J had lack of oxygen. Miss J suffered with four limb neuro-muscular disorder, development delay, visual impairment and seizures as a result of her brain damage. A micro-laryngo-tracheo-bronchoscopy was performed 2 months later which showed severe subglottic narrowing. A further 2 months later she suffered a further cardio-respiratory arrest due to another airway obstruction. She was taken to theatre for emergency intubation and required a tracheostomy. 5 months later Miss J was due to underwent a balloon dilatation and removal of the tracheostomy. However during the surgery the narrowing of the windpipe was worse than anticipated and so she required a full reconstruction of the tracheostomy. No antibiotics were prescribed after her surgery and she became unwell with a high fever, heart rate and low oxygen saturations. She was finally started on IV antibiotics the following day. However it was too late and a serious infection had taken hold in the tracheostomy. Miss J suffered from decompensating septic shock and sadly died that evening. 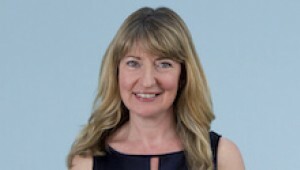 Fiona Follis, specialist clinical negligence lawyer acted for the family of Miss J. It was argued that there were multiple failures in investigating and treating Miss J’s airway narrowing. Fiona successfully obtained an out-of court settlement of £15,000 to compensate the family for their loss. Fiona Follis specialises in fatal cases. If you would like to ask Fiona a question about a potential case, or if you have a general query about any personal injury, contact Fiona at Thomson Snell & Passmore solicitors on 01892 701286 in confidence.